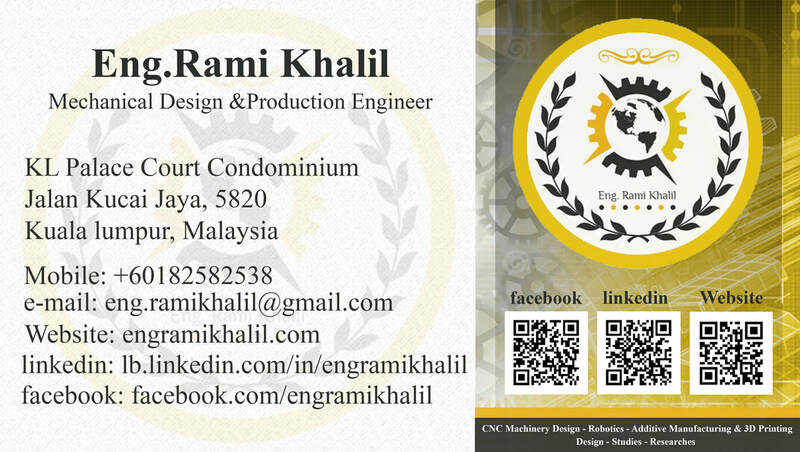 With more than seven years of international experience, my path has evolved as a mechanical design consultant and a machine designer particularly in additive manufacturing, CNC machines, robotics and oil & gas down-hole circulation valves. 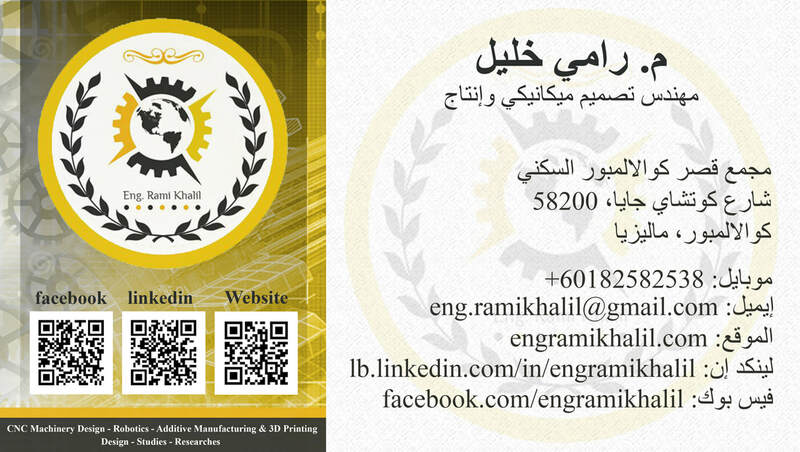 Based on strong theoretical and practical fundamentals and principles, I have built a wide and strong portfolio of skills through my positions in numerous projects as a professional mechanical design engineer equipped with exceptional interpersonal skills which I employed to produce exceptional results for clients and organizations. 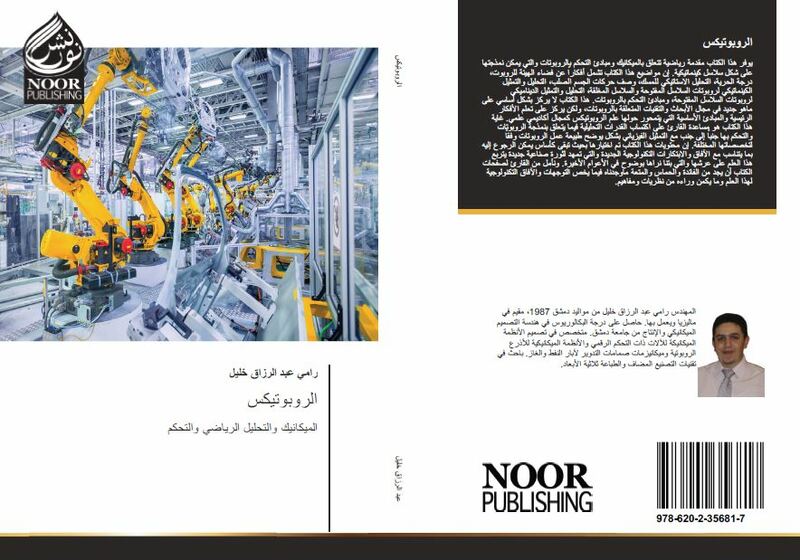 ﻿﻿﻿﻿Robotics - Additive Manufacturing (3D Printing and Rapid Prototyping Techniques) - CNC Machine Design - Finite Elements Analysis (FEA) - Computational Fluid Dynamics (CFD) -Static, Kinematic and Dynamic Analyses - CAD/CAM - Industrial Automation - Pneumatic and Hydraulic Systems - Oil & Gas - Product Design and Development - Production Planning - Project Management. Use this form to subscribe to our newsletter, in order to receive email updates, recent articles, design projects, and other information. Please fill in your email address below. We will not use your email address to send spam, and we will not provide your contact details to third parties. 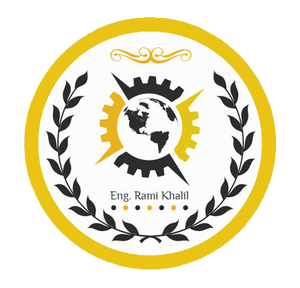 Providing mechanical design services, including 3D mechanical modeling, product design and drafting services to clients and last-year students in engineering colleges, support in helping engineering students in their graduation projects and scientific researches. 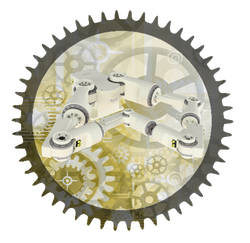 ﻿“Epic” is an advanced model of a complex mechanical design dual arm robot, it consists of two kinematic open chains, and each chain has six degrees of freedom (DOF) all of them are revolute, it can be used in simple manipulating processes and in the complex processes as well. 1- Basics, definitions, and application levels. 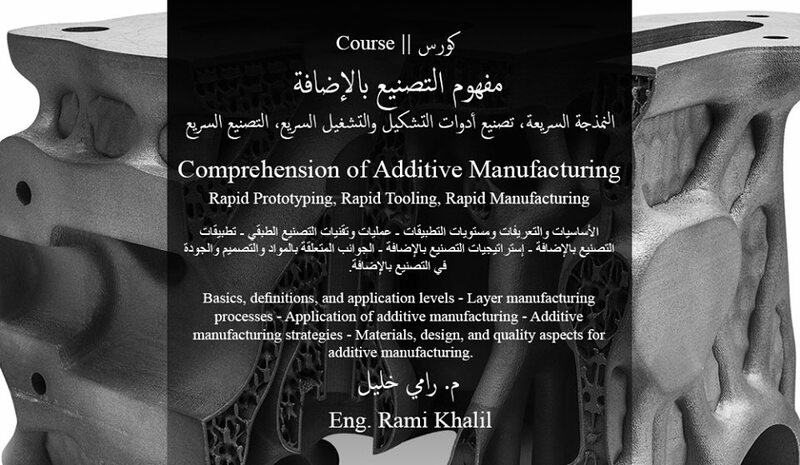 3- Application of additive manufacturing. 5- Materials, design, and quality aspects for additive manufacturing. The course will consist of a large number of short-period videos. Although these videos will be short, they will be replete of lots of ideas an information, and they will be supported by illustrating photos, tables, and figures to clarify the ideas properly. ﻿﻿﻿﻿﻿​In this practical lecture, I provide you a detailed explanation about how to apply the concept of topology optimization using “Shape Generator” new featured tool which added by Autodesk company to its package of Inventor Professional for 3D engineering design, 2017 new edition.